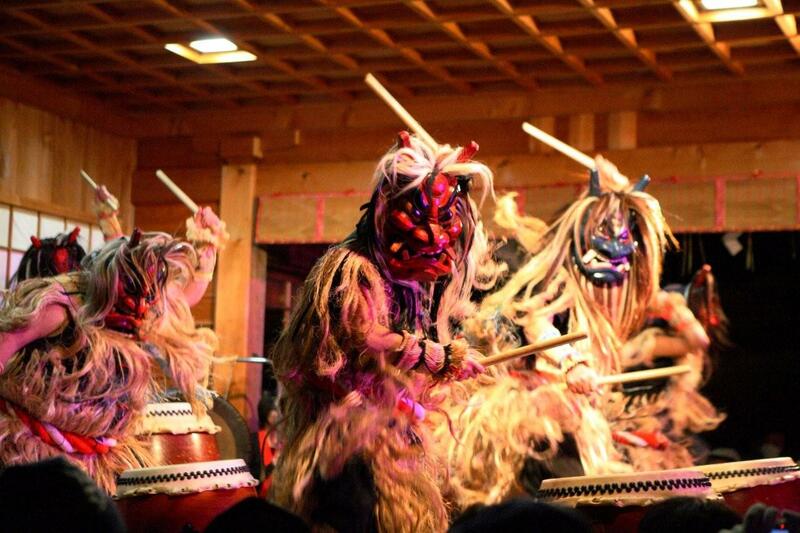 A winter festival held at Shinzan-jinja Shrine in the mountains of Oga-shi, Akita Prefecture “Namahage Sedo Festival”. 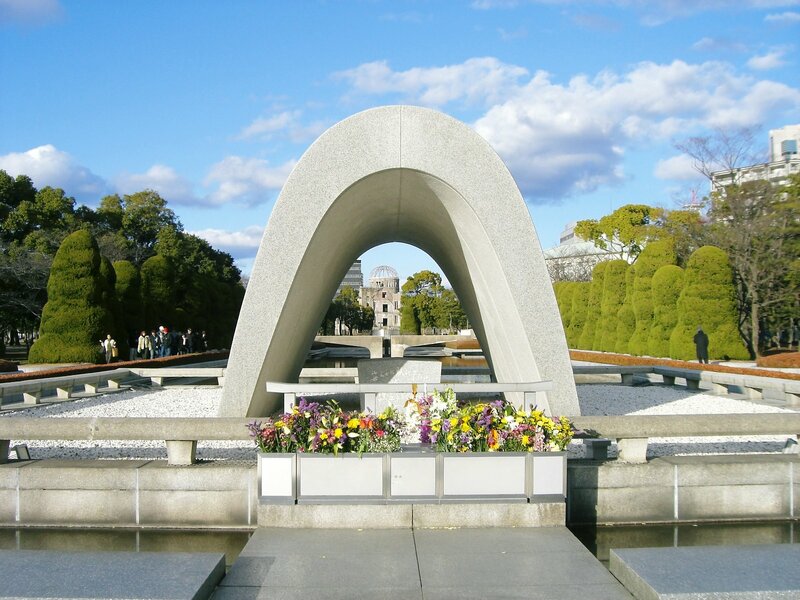 In 1964, for the sake of sightseeing it began by combining Shinzan-jinja Shrine’s Shinto Ritual “Saito Festival” with traditional event “Namahage”. 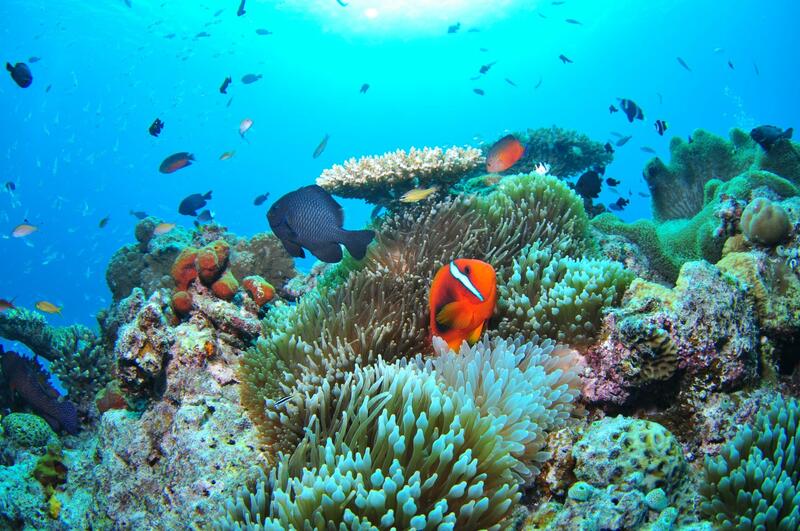 It will be held every second Friday, Saturday and Sunday in February. Under the light of “Saito” (Holy fire) burned in the precinct of the shrine, you can experience the many deep traditional events that have been transmitted to Oga district, such as dedication of Kagura (Shinto music and dancing) and dance of Namahage . 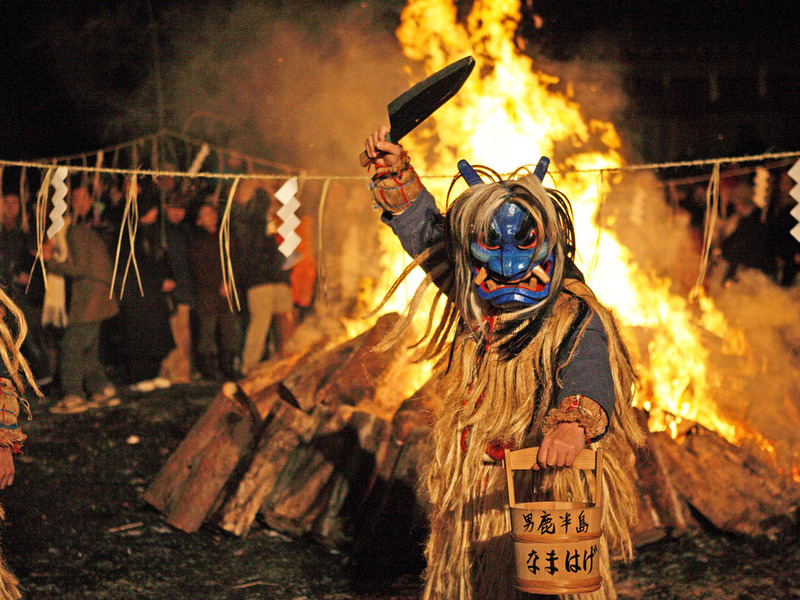 “Namahage” visits the houses of village every year on New Year’s Eve, giving blessings, and has also been designated as an important intangible cultural asset of the country as “Namahage of Oga”. 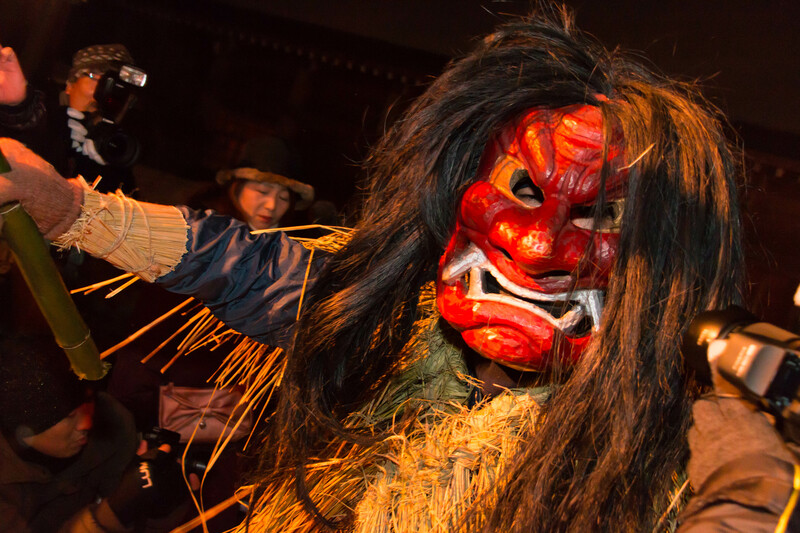 This festival is a popular event that many tourists visit every year because it is possible to experience the power of brave Namahage in close proximity in a fantastic atmosphere. A long time ago, the five ogres came over and damaged the field of the village, kidnapped daughters and did evil. The villager were deep in trouble, then approached them with a bet like this. “If you can build 1,000 steps of stone stairways to the Goshado-temple before daybreak, we send you our daughter; if cannot do it, leave here immediately!”. Ogres made a stone stairway in a flash, the villager who was upset of going to end in just another one step, used their wit and told the daybreak mimicking the voice of the chicken, ogres lost a bet. The ogre pulled up the big tree of the cedar next to them, and turned it upside down and stuck it into the ground in vexation, and never came after that. It is said that the Namahage legends is based on this story. 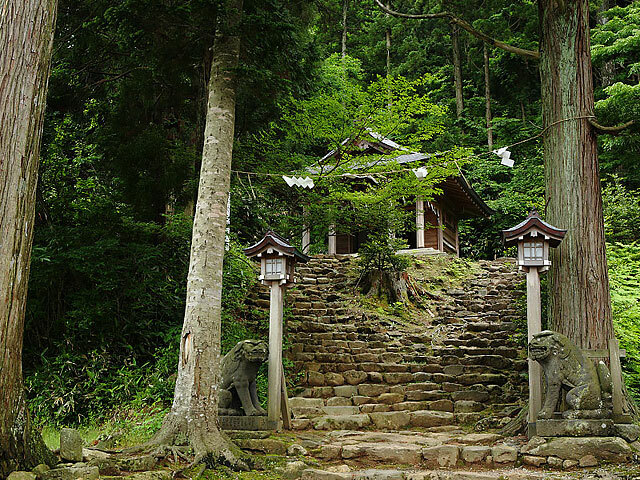 And 999 steps of stairs which the ogre built are seen in the Goshado-temple. The Namahage-Sedo-Matsuri (Namahage Festival) is said to have continued for a period of 1,200 years from the middle of the Heian era; and performed in the whole area of Oga Peninsula on the night of the last day of the year. It has been designated as an significant intangible folk cultural asset in 1978, and the Goshado-temple (Stage of the Namahage legends) was also designated as a national important cultural property. 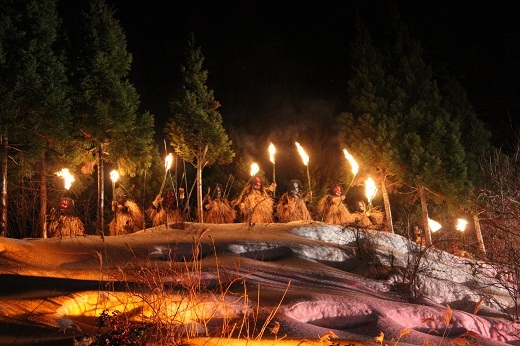 A sacred bonfire is lighted in the precincts of the Shinzan-Jinja shrine, you can see a boisterous dance and heroic drum performed by Namahage lighted up in snow. 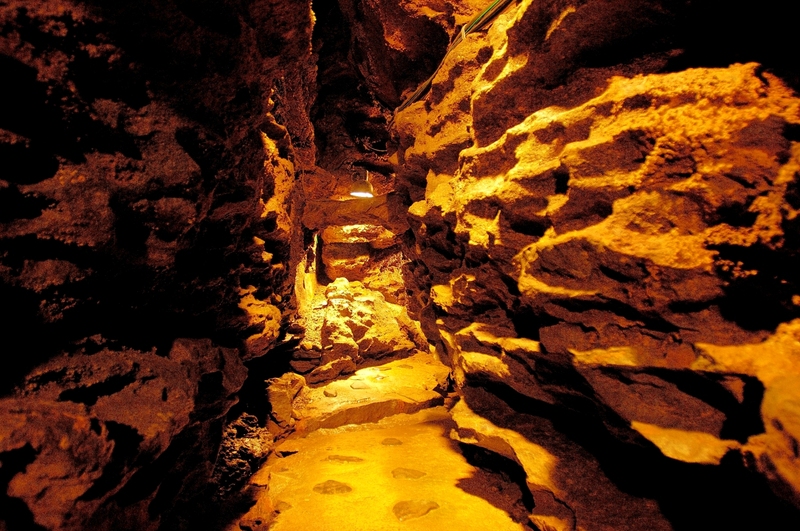 At the climax to descend the mountain while blowing a conch, you can experience a fantastic, mysterious, violently atmosphere.